and religious tyranny upon three generations of families and loved ones. comfort of family and place, like the fragrant jacaranda tree. Neda is born in Tehran's Evin Prison, where her mother is allowed to nurse her for a few months before the arms of a guard appear at the cell door one day and, simply, take her away. In another part of the city, three-year-old Omid witnesses the arrests of his political activist parents from his perch at their kitchen table, yogurt dripping from his fingertips. More than twenty years after the violent, bloody purge that took place inside Tehran's prisons, Sheida learns that her father was one of those executed, that the silent void firmly planted between her and her mother all these years was not just the sad loss that comes with death, but the anguish and the horror of murder. These are the Children of the Jacaranda Tree. Set in post-revolutionary Iran from 1983 to 2011, this stunning debut novel follows a group of mothers, fathers, children, and lovers, some related by blood, others brought together by the tide of history that washes over their lives. Finally, years later, it is the next generation that is left with the burden of the past and their country's tenuous future as a new wave of protest and political strife begins. 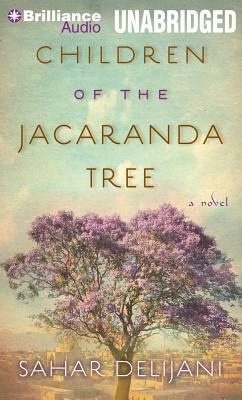 "Children of the Jacaranda Tree" is an evocative portrait of three generations of men and women inspired by love and poetry, burning with idealism, chasing dreams of justice and freedom. Written in Sahar Delijani's spellbinding prose, capturing the intimate side of revolution in a country where the weight of history is all around, it is a moving tribute to anyone who has ever answered its call.